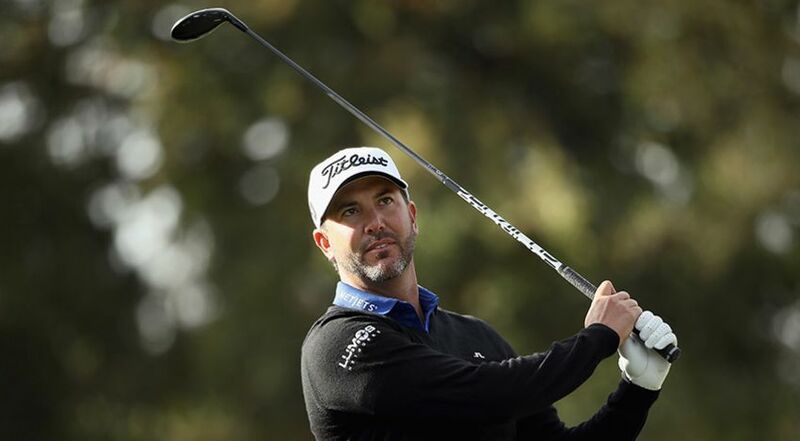 NAPA, Calif. — Scott Piercy began the new PGA TOUR season by pouring in putts and setting the course record at Silverado, a 10-under 62 for a two-shot lead Thursday in the Safeway Open. Conditions were practically perfect in the morning, and Piercy took advantage. He made 12 birdies, only three of them from inside 10 feet, and he even missed a pair of birdie chances from inside 8 feet. He wasn’t alone in attacking Silverado. Paul Casey, coming off a pair of runner-up finishes in the FedExCup playoffs that signaled a return to form, birdied his last three holes for a 64. Patton Kizzire also shot a 64. Jon Rahm of Spain, who earned his PGA TOUR card from sponsor exemptions last season after wrapping up his college career at Arizona State, began his PGA TOUR career as a member in fine fashion. He made a hole-in-one — the first one of his life — on his second hole, the par-3 11th. His 7-iron from 173 yards flew straight into the cup. Phil Mickelson, playing a domestic PGA TOUR event in the fall for the first time in a decade, overcame a bogey-bogey start to post a 69, along with playing partner and defending champion Emiliano Grillo. Bill Haas was added to that group when Tiger Woods withdrew and showed no vulnerability in his game by posting a 66, the best score of the afternoon. Mickelson and Casey have had the best calendar years without winning based on the world ranking points they have earned. Mickelson is playing his final tournament of 2016, while Casey plans to play the next two in Asia before taking off the rest of the year. Piercy, at least on paper, had one of his better years. He earned $2.9 million. He had a chance to win a major at the U.S. Open until Dustin Johnson pulled away at Oakmont, and Johnson beat him by one shot at a World Golf Championship. But those runner-up finishes in big events covered up an atrocious year with the putter. Piercy was 156th in the most important putting statistic, strokes gained: putting, which is what held him back most of the year. It’s what carried him Thursday. He holed a pair of 18-foot birdie putts on successive holes early in his round, and kept pouring them in, one after another, to offset a pair of bogeys from the bunkers on the par-4 third hole and the par-3 seventh late in his round. His power has always been there, and he showed that on the par-5 fifth hole when he blasted a drive over the trees along the line of the cart path, back to the fairway on the dogleg right. That left him only a 6-iron into the green, and he narrowly missed a 20-foot eagle attempt. That was among the few putts he missed. Piercy’s 62 was at least nine shots better than the course average. Casey played in the group in front of Piercy and did his best to keep pace. He made eight birdies on a bogey-free day at Silverado. The big change for Casey was a new driver as he slowly transitions away from Nike, which is getting out of the equipment business. Casey ended last season three weeks ago at the TOUR Championship with a 64, and started the new one with a 64, so the time off didn’t hurt him. DIVOTS: Morgan Hoffmann holed out for an albatross on the par-5 18th hole. … Cody Gribble had the low round among the PGA TOUR rookies with a 67. … Justin Thomas, who missed the playoff at Silverado by one shot last year, opened with a 75 after two tee shots out of bounds led to triple bogeys. On both holes, he three-putted from inside 15 feet.